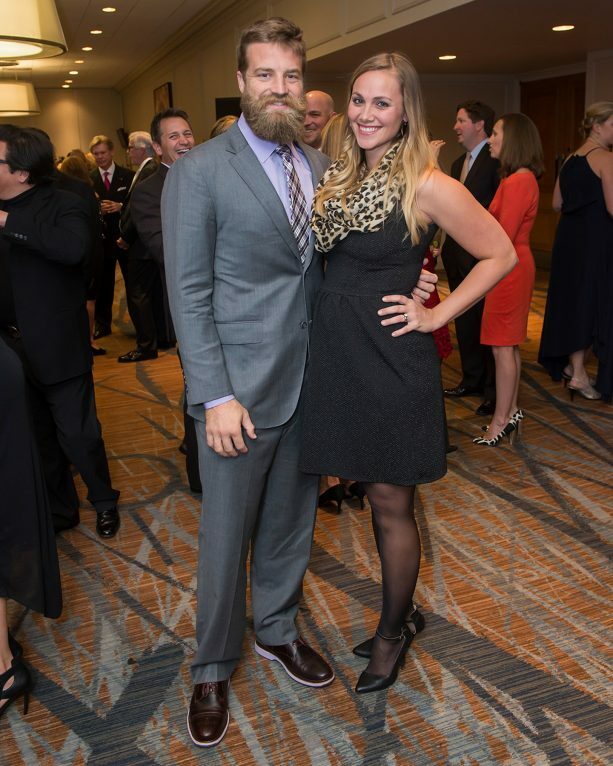 Liza Barber and Ryan Fitzpatrick met for the first time as students while studying at Harvard University. The two became friends after some time and eventually got married in the year 2006 in the presence of their family and friends. An avid sports lover, Liza is a talented soccer player as well as her husband’s biggest fan. Ever since they got married, she has been his backbone and the only woman who has been working pretty hard to see that Ryan’s football career doesn’t slip to the downward side. Here’s more information about Barber and other facts you need to know about her. There is no information available online about the day, month, and year Liza Barber was born and where she was given birth to. However, most authoritative sites report that she was raised by her parents in West De Moines, Iowa, in the United States. Barber had her high school education at Valley High School and later earned a scholarship to the prestigious Harvard University, from where she graduated in the year 2005 after completing her studies. During her days in both Valley and university, Liza was part of their soccer teams. At Harvard, she represented Harvard Crimson female soccer team in competitions for four years. During her senior season in the year 2004, she led her team as the captain and was the leader of the university’s defensive unit throughout her final year. By the time she graduated, Barber was already an All-American player. 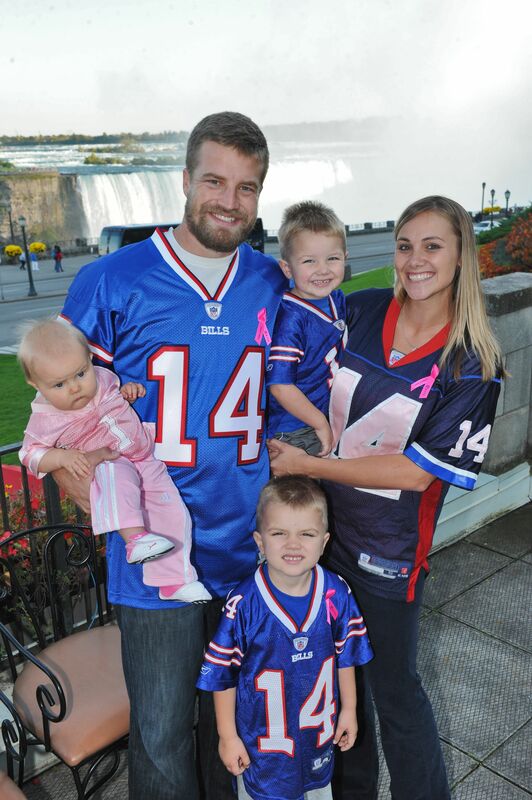 Liza Barber’s husband, Ryan Fitzpatrick is a respected football player in the National Football League (NFL), where he has been doing amazing work since he turned pro and was drafted. Easily recognized for his beards, Ryan was picked by St. Louis Rams in the 7th round of the 2005 NFL Draft as the 250th pick. He left the team the following year and has since represented a handful of other teams in the league – Cincinnati Bengals (2007–2008), Buffalo Bills (2009–2012), Tennessee Titans (2013), Houston Texans (2014), New York Jets (2015–2016), and Tampa Bay Buccaneers (2017–2018). Currently, he defends the quarterback position for Miami Dolphins, a football team he joined in the year 2019. As hinted earlier, Fitzpatrick is a Harvard graduate. He studied economics at the institution, where he made history by recording 1,006 total plays for 6,721 yards in total offense, which is higher than that of Mike Giardi (1991–93) and Rose who hold the record of 1,005 plays and 6,519 yards respectively. Born Ryan Joseph Fitzpatrick on November 24th, 1982, the Highland High school graduate is 6 feet 2 inches tall and weighs in 102 kilograms (223 lbs). The beauty has seven kids with her husband whose names are Ruby Fitzpatrick (daughter), Maizy Fitzpatrick (daughter), Zoey Fitzpatrick (daughter), Lucy Fitzpatrick (daughter), Tate Fitzpatrick (son), Brady Fitzpatrick (son), and a son born in 2019 whose name is not known at the moment. During the 2018 season, Brady was among those who started Ryan in his fantasy lineup. Liza Barber was engaged by her Ryan at the popular American fast food, McDonald’s, where they went to have dinner. The football player shared during an interview that he bought her engagement ring from their joint bank account. According to him, Barber was to pay for some items she bought at an area Gap store and her credit card was denied due to insufficient fund and she promised to check her bank account when they get home. On their way back, Ryan drove her to McDonald’s, where he popped the question while they were eating their favourite chicken nuggets. Ever since they got married, the couple has been living happily together with their kids. Despite his demanding career, Ryan still finds time to bond with his children and wife whom he loves so dearly. Unlike most married NFL players, Fitzpatrick wears his wedding band during football games. The quarterback player once mentioned during an interview that he has an unspoken agreement with Liza Barber not to take off their wedding rings and that he hasn’t seen a reason to remove it from his finger.